As Good Friday approaches, I wanted to share this post again. Have you ever been punished for something you didn’t actually do? Maybe you were rejected and punished even though you tried to do the right things. Maybe you willingly took the blame to prevent someone you cared about from suffering the consequences of their actions or choices. We often stand up for ourselves refusing to take the blame, but there are times in which we willingly accept the blame to protect those we care about. Whether by choice or not, it’s not easy taking the blame or punishment for something you didn’t do. But your love for those involved causes you to understand the consequences involved if the truth were known, so you accept their punishment. That’s exactly what Jesus did for each of us. “But he was pierced for our transgressions, he was crushed for our iniquities; the punishment that brought us peace was upon him, and by his wounds we are healed” (Isaiah 53:5). He took the punishment for all of our sins. He suffered a cruel death on the cross even though He never sinned. 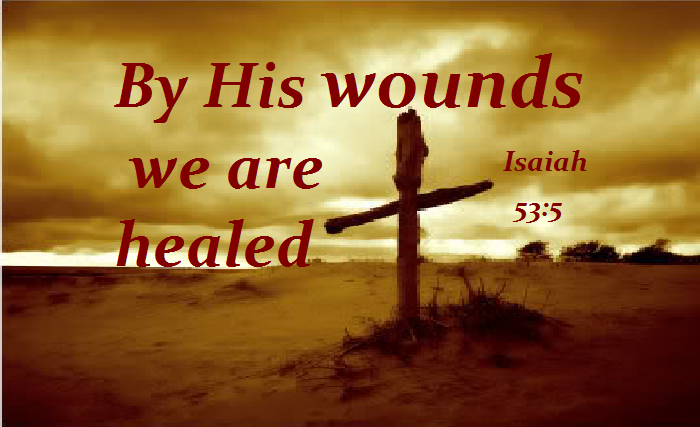 Hebrews 9:28 says, “So Christ was sacrificed once to take away the sins of many people; and he will appear a second time, not to bear sin, but to bring salvation to those who are waiting for him.” Through his death and resurrection we are healed and can accept the gift of eternal life. 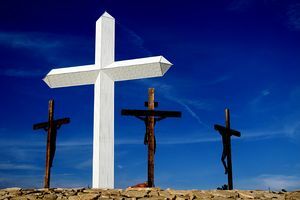 Why would Jesus be willing to endure the floggings, the crown of thorns, and the horrible crucifixion? Love. An old hymn sums it up perfectly: “What a friend we have in Jesus, all our sins and griefs to bear!” Jesus is the most caring and loyal friend we could ever find. He could have chosen at any time not to accept the punishment we deserve, but He loved us so much that He became a voluntary substitute for each and every one of us. Jesus took the blame and punishment for every sin anyone has ever committed or will commit. He knew the consequences we deserve, but He loved us so much that He was willing to suffer for our sins. Mine, yours, every single person ever born. It’s difficult for us to take the blame for something we didn’t do, yet Jesus, who was perfectly holy and pure, Jesus who knew no sin, bore the sins of the entire world. No matter what we’ve done, He paid the price. I do not know the young men in this video, but their sweet harmony always makes me smile. He paid a debt He did not owe. I owed a debt I could not pay. And now I sing a brand new song, Amazing grace all day long. Why would He be willing to endure the floggings, the crown of thorns, and the horrible crucifixion? Love. An old hymn says sums it up perfectly: “What a friend we have in Jesus, all our sins and griefs to bear!” Jesus is the most caring and loyal friend we could ever find. He could have chosen at any time not to accept the punishment we deserve, but He loved us so much that He became a voluntary substitute for each and every one of us. Where were you on this date in 2001? 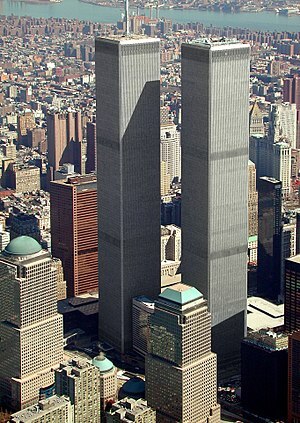 Most of us can probably remember exactly where we were and what we were doing on September 11, 2001. I was at school in my second grade classroom. I don’t remember doing much teaching that day. Like everyone else, I felt shock that something so terrible could happen, shock that someone could purposely do such a thing, and fear of what else would happen. Yet I had to maintain my composure to keep from scaring the children in my classroom. Where were you? What were you doing? How did you feel? While you remember that day and contemplate the overwhelming feelings you experienced whether on a personal level or secondhand as I did, I want you to think about another question. Where will you be? Where will you be when Christ returns? I pray that you know the answer to this question and have assurance that you will be spending eternity in heaven, but if you are unsure make today the day that you grab hold of that peace that passes all understanding. Don’t be standing in shock as we were eleven years ago today. Be ready! If you aren’t sure you’re ready, please read the steps below to find that assurance. ADMIT – Admit to God that you are a sinner. Everyone needs salvation. “For all have sinned and fall short of the glory of God” (Romans 3:23). BELIEVE – Believe in Jesus Christ as God’s Son and receive Jesus’ gift of forgiveness from sin. God loves you, and offers salvation to you regardless of your past. “For God loved the world in this way: He gave His One and Only Son, so that everyone who believes in Him will not perish but have eternal life” (John 3:16). If you just followed these steps to salvation, share with someone – a friend, pastor, or even me. Simply click the Contact tab above to send me a private email. I would love to hear of your decision! That’s exactly what Jesus did for each of us. “But he was pierced for our transgressions, he was crushed for our iniquitites; the punishment that brought us peace was upon him, and by his wounds we are healed” (Isaiah 53:5). He took the punishment for all of our sins. He suffered a cruel death on the cross even though He never sinned. Hebrews 9:28 says, “So Christ was sacrificed once to take away the sins of many people; and he will appear a second time, not to bear sin, but to bring salvation to those who are waiting for him.” Through his death and resurrection we are healed and can accept the gift of eternal life. We are a bragging society. Television reality shows and game shows provide the opportunity for contestants to show off their knowledge or strength in a very public way. Others brag about money they may or may not have by purchasing expensive cars and homes. People brag about what they have and what they have accomplished. Parents and grandparents brag about their children and love to show off pictures. Many parents carry little “brag books” to show off pictures of their children and what they have done. Facebook is the new “brag book” where we can share the fun and exciting things in our lives. There is nothing wrong with bragging about those we love and sharing the joy they bring to our lives, but the one who loved us enough to die for us accomplished so much more. Yet many of us are afraid to brag about what He has done for us. Galatians 6:14 says, “As for me, God forbid that I should boast about anything except the cross of our Lord Jesus Christ.” There is nothing any of us could ever accomplish that compares to the kindness, justice, and righteousness of our Lord. What Christ has done in our lives is an amazing personal experience. We just need to do some bragging and be willing to share with others the impressions God has left in our lives. “For God so loved the world that he gave his one and only Son, that whoever believes in him shall not perish but have eternal life” (John 3:16). Many of us learned this verse as a child, and it is the perfect “brag book” to show others how Christ has changed our lives. Jesus Christ died for our sins so that we may have eternal life, and we need to tell others so that they may also experience salvation. My challenge for you is to pull out your John 3:16 “Brag Book” and boast of the wonderful things Christ has done in your life, so that others may also experience salvation. B – Believe that Jesus died on the cross and rose again. 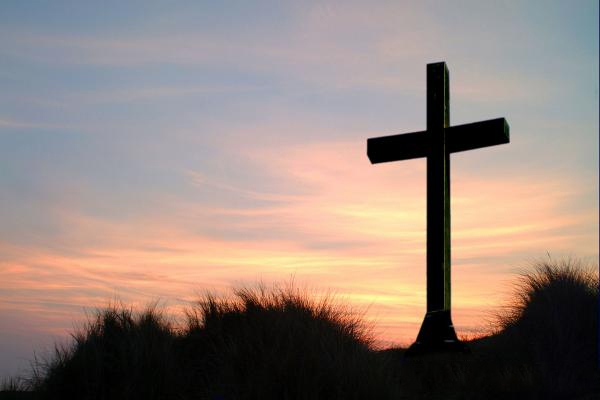 – “But God demonstrates his own love for us in this: While we were still sinners, Christ died for us” (Romans 5:8). C – Confess your sins and ask Jesus into your heart. “That if you confess with your mouth, Jesus is Lord, and believe in your heart that God raised him from the dead, you will be saved” (Romans 10:9). If you just accepted Christ as your Savior, you now have your own John 3:16 “Brag Book”. Share with someone the first and most important thing Christ has done in your life.